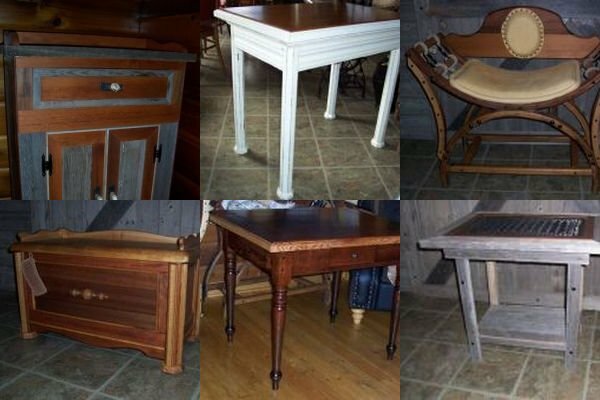 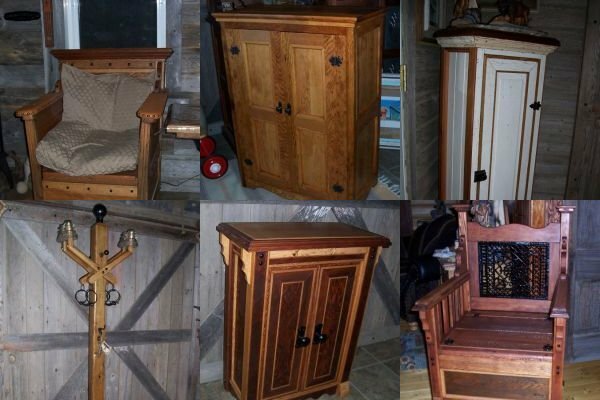 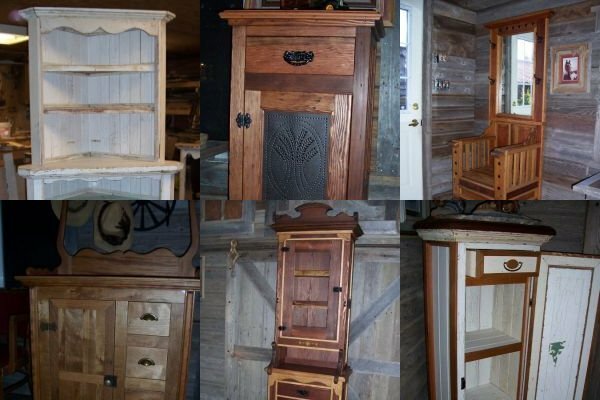 The finest in hand crafted, one-of -a-kind furniture made from early 1900’s salvaged wood, tastefully rustic to suit any décor, designed by the builder. 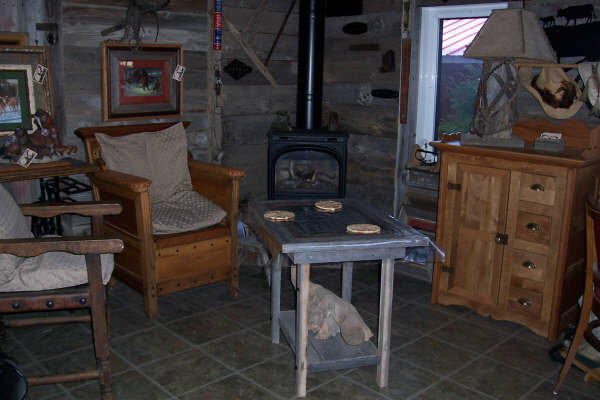 Unmatched, beautifully rustic custom picture frames with framed prints and mirrors. 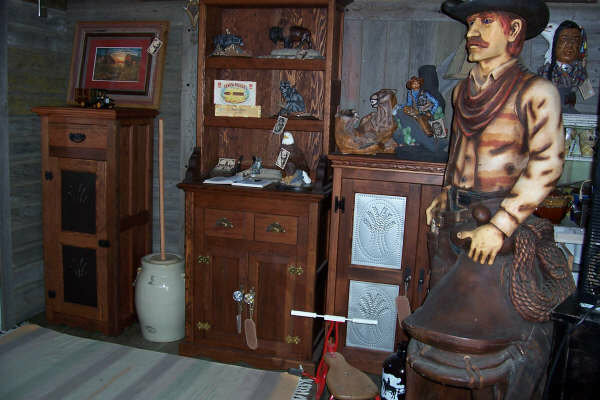 Lamps, hand painted cowboy and wildlife statues, coat and hat racks, bookends and other home furnishing accessories. 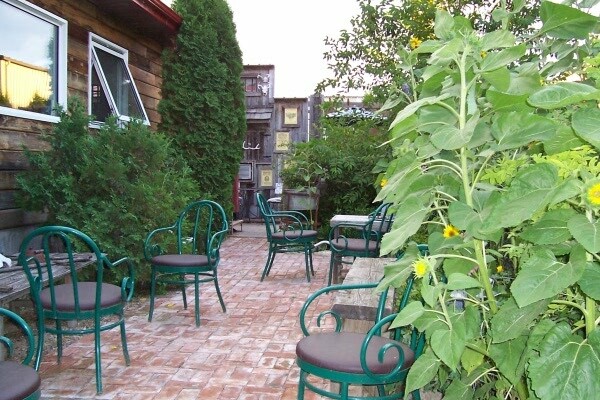 A great cup of coffee and a dessert served in a beautiful coffeehouse and garden setting. 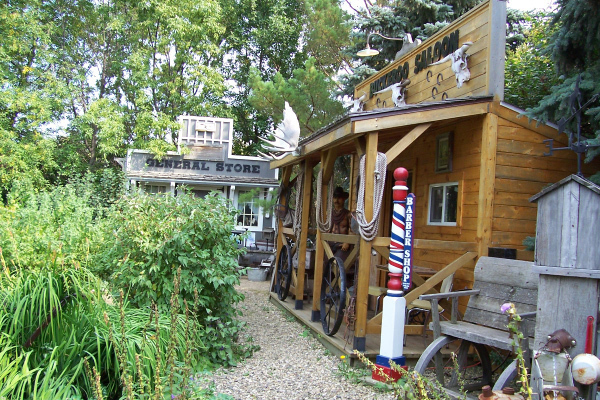 Please join us in person for a taste of small town hospitality at Victory Street in Dysart!